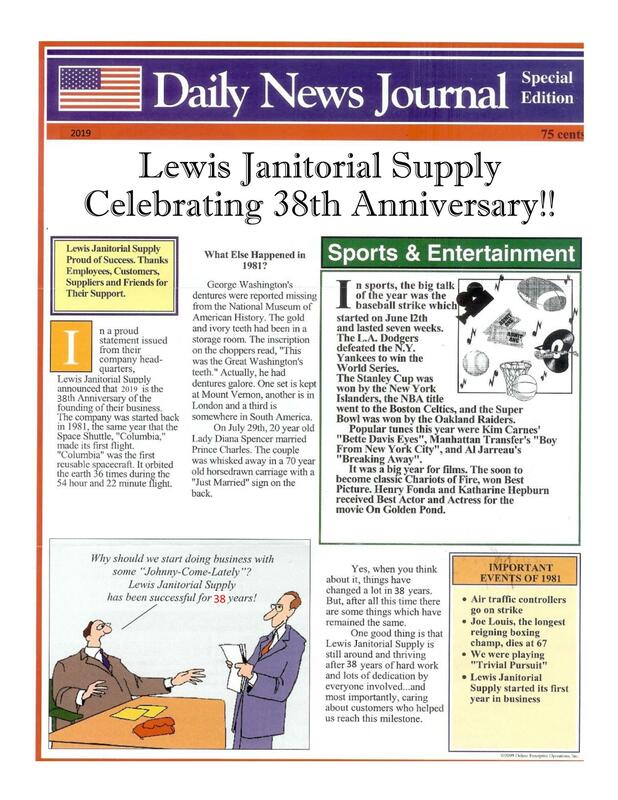 For all your cleaning needs, count on the professionals at Lewis Janitorial Supply. Family owned since 1981, our team has served the business communities from around the greater Orlando region with exceptional customer service and industry leading products. Your time is valuable, so we offer you fast FREE delivery! Since 1981 and going strong! Founded by Husband & Wife Larry & Barbara Lewis in 1981 and is still operated today by The Lewis Family. Whether you are looking to keep your cleaning company stocked with all the latest and greatest supplies and tools or you are a business looking for a company to keep your building stocked with all of your maintenance needs we are the one for YOU! If you are looking for seasonal cleaning services or someone to come in on a weekly basis or a company to clean your premises daily, you can count on us to refer one of our trustworthy customers to you.. Ensuring your building and employees are safe, we provide ecofriendly cleaning products.